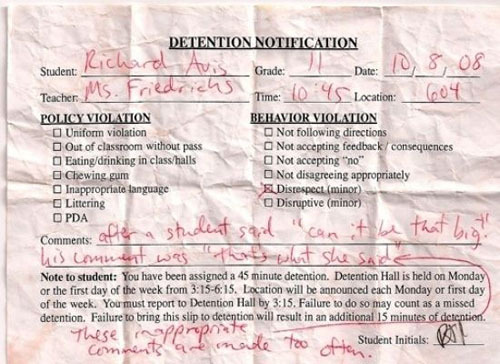 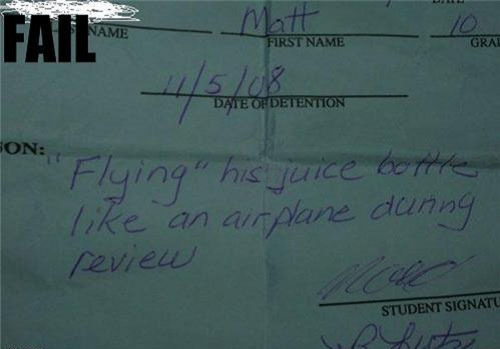 There's nothing funny about kids being bad in school, but there is something about funny detention notes that make us laugh every time! 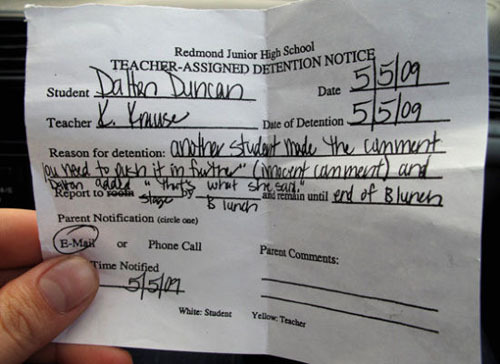 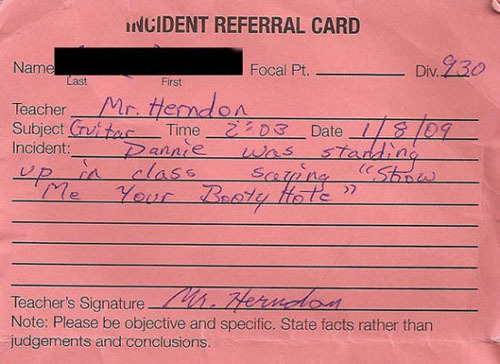 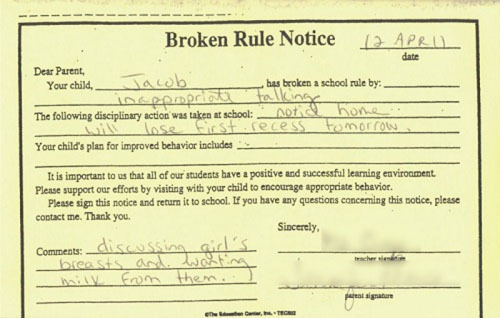 This collection of funny detention notes are so bad they're good. 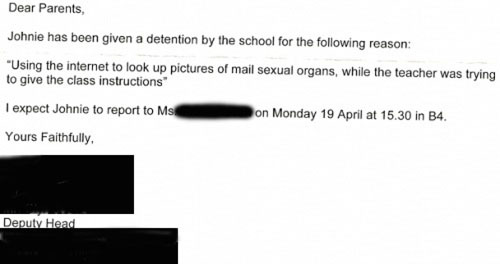 And when we say bad we mean the kids were bad. 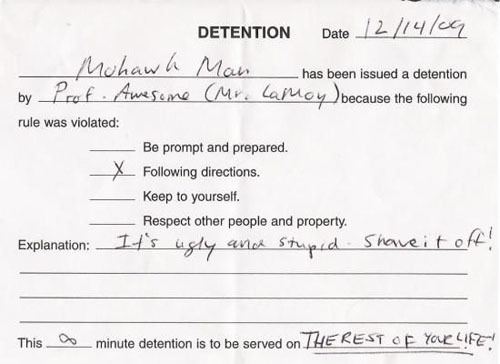 The funny detention notes are just good!! 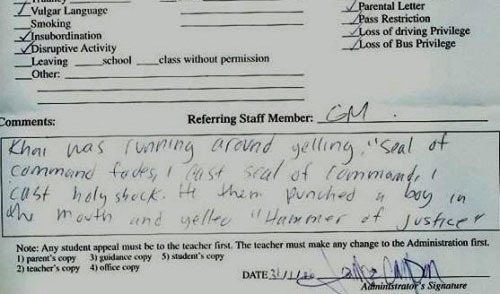 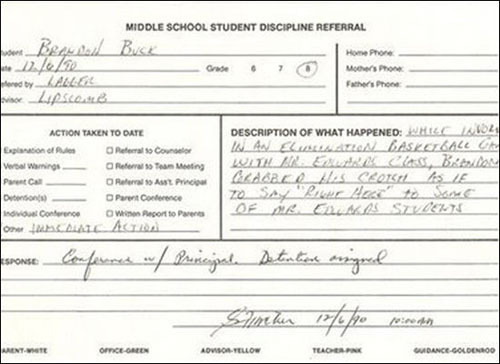 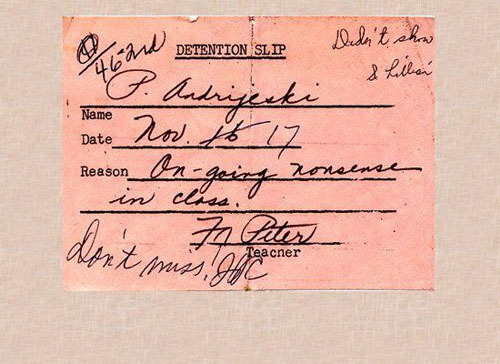 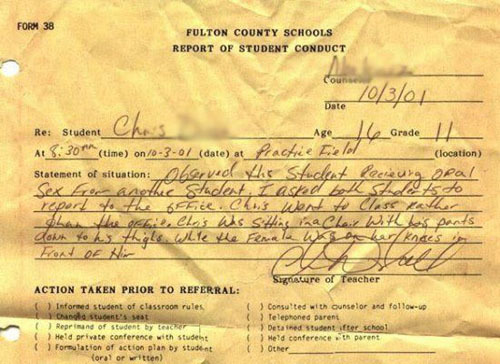 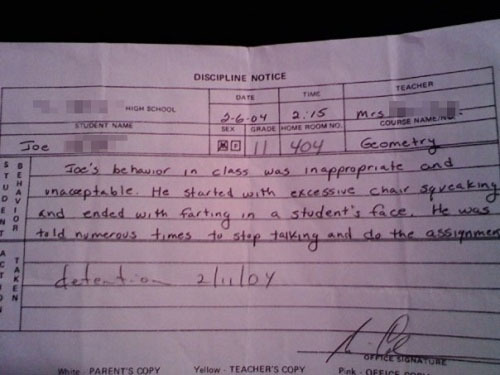 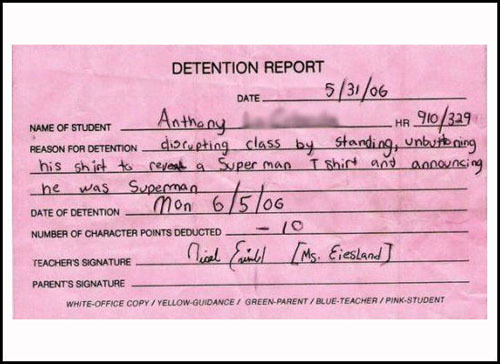 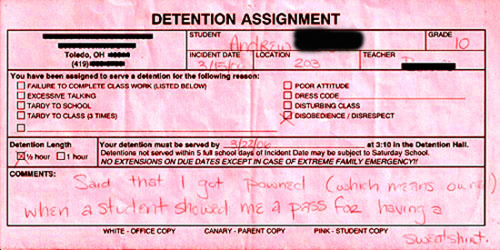 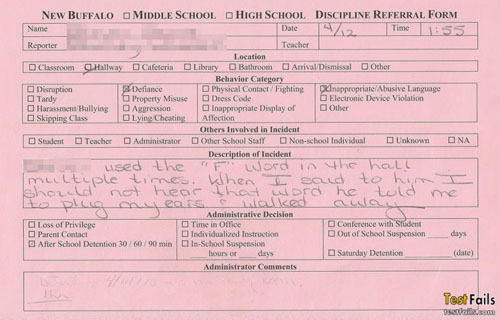 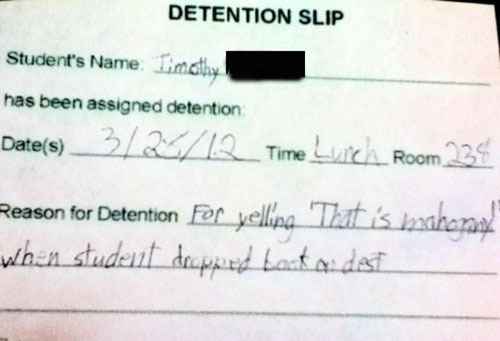 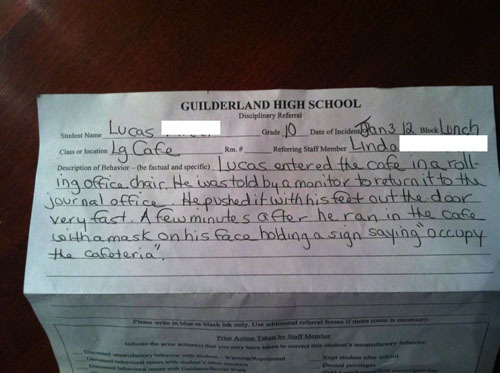 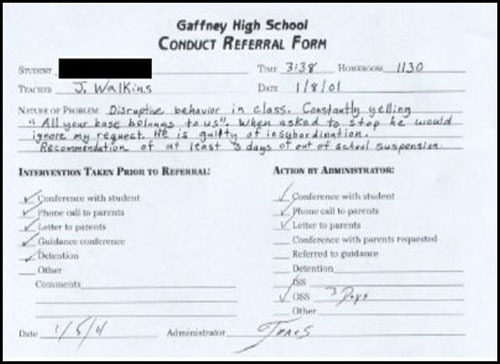 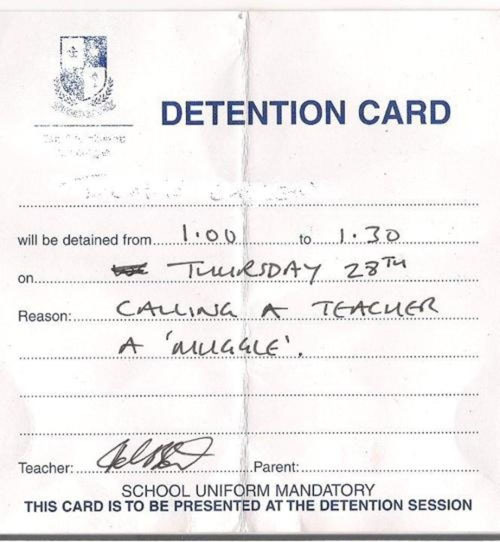 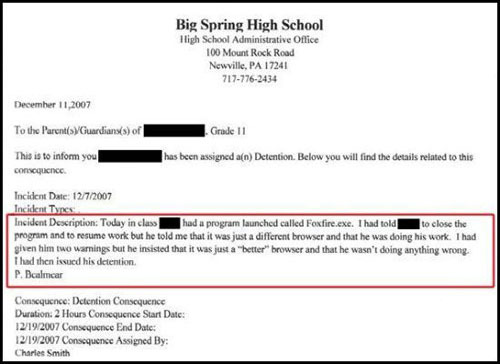 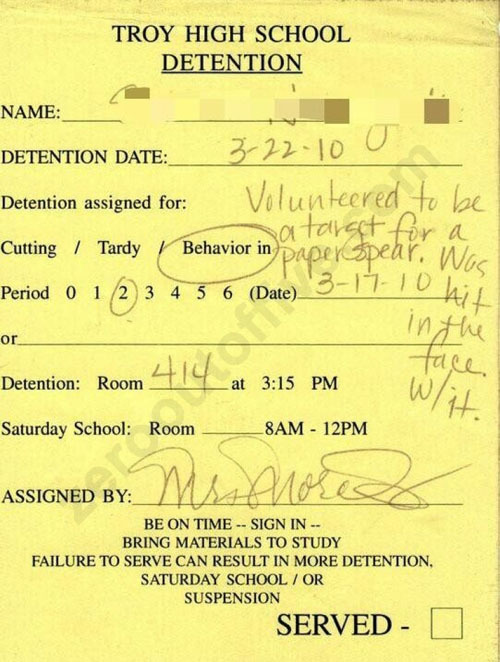 It seems like kids get in trouble for the weirdest things these days. 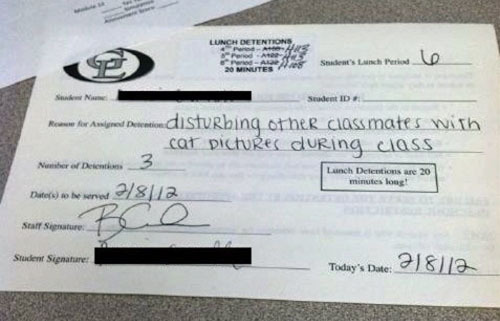 From drawing obscene pictures on the chalkboard or whiteboard to reading a book during lunch?! 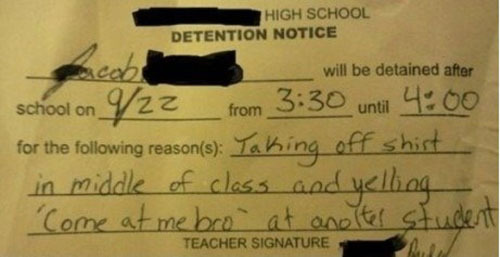 Who gets in trouble for that one!! 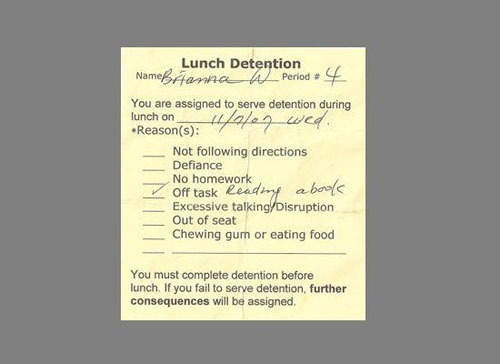 I would have thought that reading in your off time would be better than being on your iPad or iPhone during lunch. 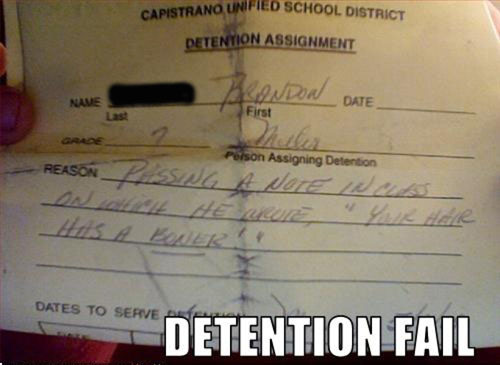 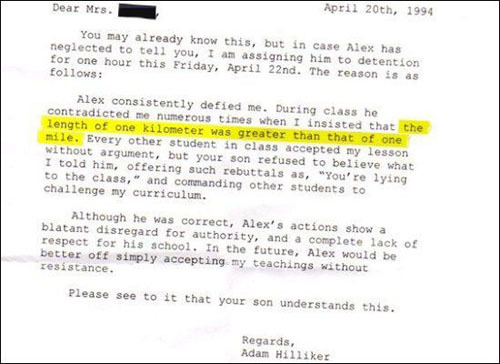 I think they should give that kid some kind of honor roll award instead!